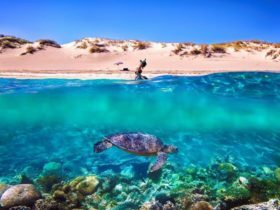 Discover the beauty that is Ningaloo Reef with one of Western Australia’s leading dive operators, Ningaloo Reef Dreaming. Find yourself amongst whale sharks, spectacular coral, colourful fish, graceful manta rays, turtles, humpback whales, dugongs, dolphins and other marine life. They specialise in whale shark tours and are the only operator to use their own exclusive spotter plane to find these magnificent creatures, allowing you to spend longer in the water with the whale shark. A range of internationally recognised dive certification courses are available for those wanting to learn to dive or advance their skills. 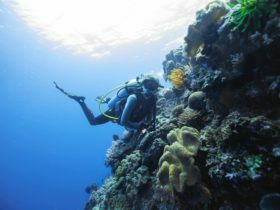 Their tours are suitable for first time snorkelers to experienced divers, all conducted on modern, well equipped vessels fitted for safety and comfort and our friendly and experienced staff and crew will ensure your trip is one to remember. 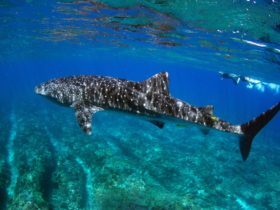 View the spectacular underwater world of Ningaloo Marine Park, the way it should be – fun, safe, easy and wonderful, whilst operating in a way that respects and protects the natural environment and indigenous heritage. 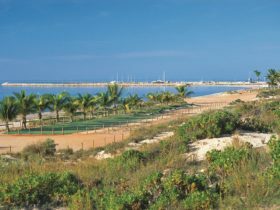 Enjoy one of the most popular snorkelling adventures in Exmouth. Cruise out into the pristine Ningaloo Marine Park to search for its world famous marine life, comprising an amazingly diverse range of fish and corals, marine mammals including dugongs, turtles, dolphins, and more. See seasonal manta rays (July to November), humpback whales (August to November), and perhaps a whale shark (March to July). Don’t miss turtle mating season (September to January). Snorkel or dive on stunning coral reef, or kick back and relax on the deck of our modern well equipped vessel. 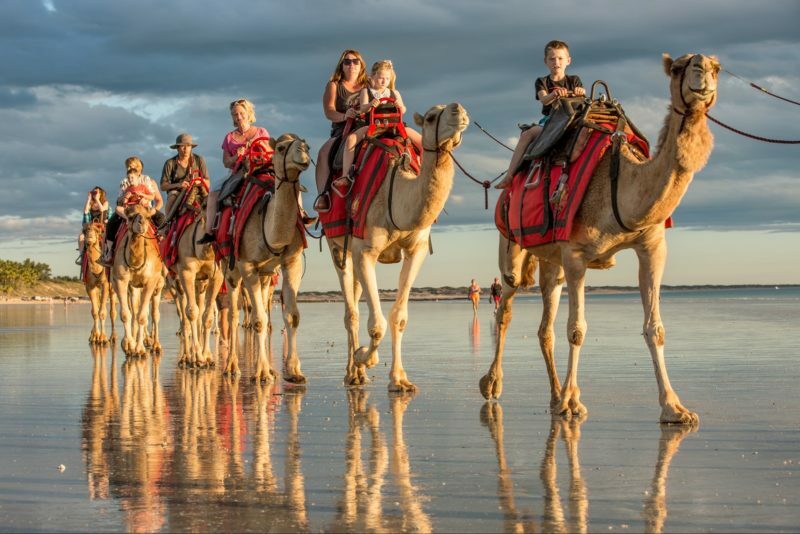 This tour is suitable for the whole family. Experience the annual migration of the amazing humpback whales as they frolic in the calm waters of the Exmouth Gulf, playing and nursing their new-born calves. The tour provides excellent photograph opportunities to see these majestic whales in their element and observe this fantastic event. A curious calf or adult whale may even approach the tour boat, surfacing so they can get a good look at you. Join in this exciting adventure and search for the amazing manta-rays. Truly stunning in appearance and size, mantas delight divers with their grace, speed, and occasional loops and circles around you whilst they are in the water. 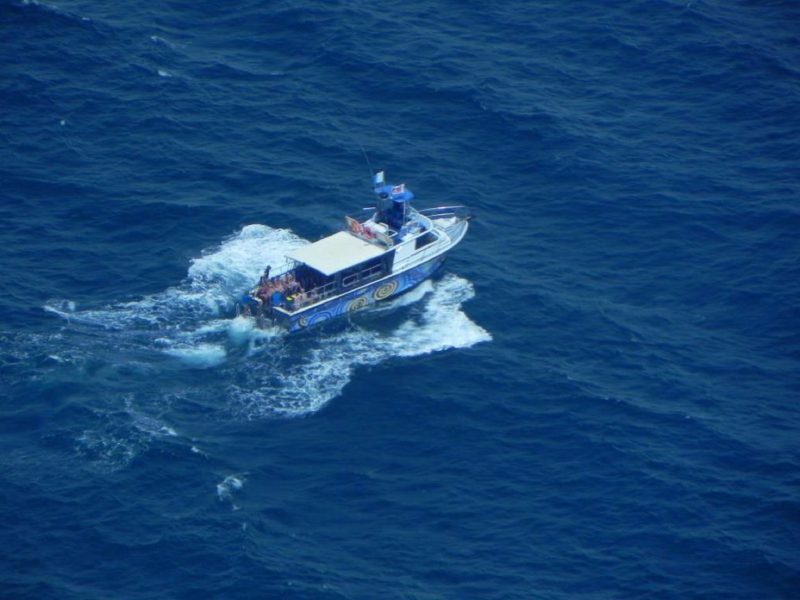 Their fast dive boat covers ground quickly searching for the manta rays, assisted by a spotter plane chartered expressly for this purpose. Be welcomed aboard and after being briefed on the day’s activities, safety procedures and fitted with your snorkelling gear, they commence with a snorkel (or optional dive) on the beautiful Ningaloo Reef. 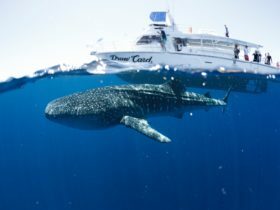 To maximise the time you get to experience actually swimming with a whale shark, they own their own exclusive spotter plane, so they don’t have to line up with other boats to take turns swimming with a whale shark. As soon as the spotter plane sights a whale shark, their boat heads off to get you in the water for the opportunity to swim with these gentle giants. Not confident snorkelling? No problem! Their staff are qualified instructors and take the time to make sure you are feeling confident and comfortable in the water. A company swimmer is in the water at all times to support, guide and assist as necessary. Even if you don’t want to swim with a whale shark, you can still get up close and personal from their viewing platform onboard. In the rare event of not spotting a whale shark, all passengers will be offered the next available tour free of charge. Spend the day diving and snorkelling the internationally acclaimed Muiron Islands, a group of deserted islands 16 kilometres offshore, surrounded by stunning coral reefs and bombies. Spend time with ‘Clive’ the friendly giant cod or one of his relatives, be impressed by huge manta rays swimming acrobatics, explore coral caves and swim-throughs, and be surrounded by huge schools of fish. Diving the Muirons’ is diving at its peak, more colour than you can imagine, and has been rated amongst the world’s best dive sites by National Geographic, Adventure Channel and others.